When Carter's father Jackson suggests a week at the lake, it's not only so he can gain a little clarity about his future. Jackson has other plans for his recovering son, intending for him to watch over his best friend’s daughter while she’s on a solo writing retreat—an idea that doesn’t please Carter at all. Patty is prepared to face the consequences and announce her relationship at her first public fundraiser with Carter. But when a strange woman makes a move on him, and she finds them in what appears to be a mutual, passionate kiss, Patty can’t believe she’s been so foolish. She should’ve known better than to trust a man. Floundering under the stress of losing Patty, the PTSD nightmares start in again, leaving Carter no choice but to turn to the only thing that will numb the pain. Alcohol—and lots of it. His family quickly intervenes and takes him to the hospital to kick-start his road to recovery. Carter knows burying the pain isn’t the answer. He has to heal…and save his relationship with Patty. Suspicious of her mother’s recent actions, Patty pushes her to come clean about the setup at the fundraiser. Her jealous ex, Ben, has been blackmailing her mother into helping him ruin her relationship with Carter, and it doesn’t stop at that. Ben shows up at the lake house unwilling to accept no for an answer. 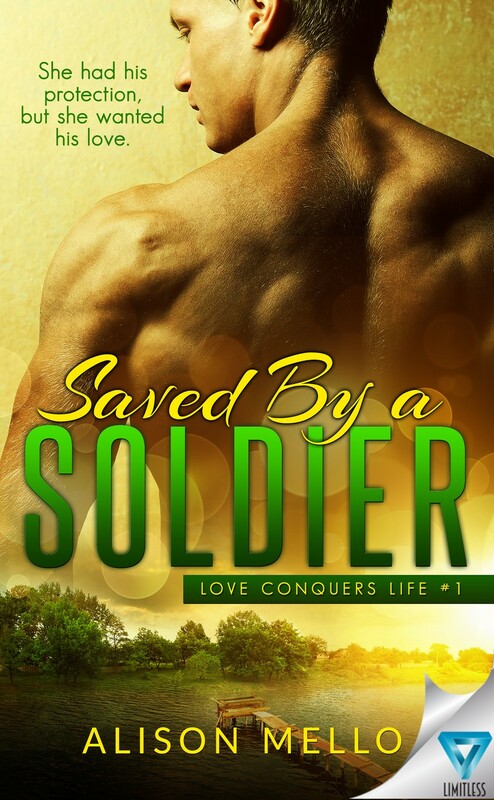 With so many who want to destroy their happiness, he has to be strong enough to save Patty from an empty, loveless future—or he’ll be nothing more than the broken soldier she used to know. With their relationship finally out in the open, and Carter on the fast track to recovery, Patty spends Black Friday helping him with his charity event. Their attempt to spread Christmas cheer is interrupted, though, when Patty’s ex-boyfriend Ben, who has been harassing her for months, shows up. Fearing for Patty’s life, one of the men on the protection detail springs into action. The press is everywhere. Patty wants to move on with her life, but they’re relentless in their badgering about the circumstances surrounding Ben. If that isn’t enough stress to endure, someone spikes Patty’s drink during a New Year’s Eve event, and it isn’t her meddling ex. Luckily, Carter is there to save her when she collapses, but this constant threat to her life isn’t going away. Everything in Bella’s life seems to be working out. 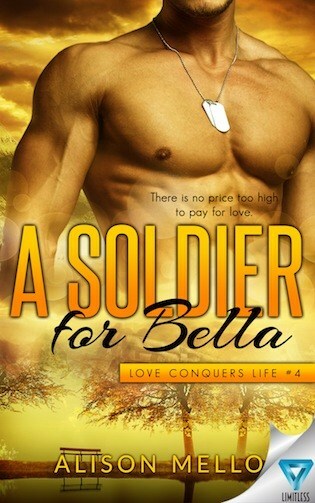 She’s landed the guy of her dreams in former soldier Derek Thompson, and now she’s attained the contract of a lifetime—centerfold model for a famous swimsuit magazine. The only problem is she has a stalker. He keeps leaving her notes, roses, and now he’s taken to cyberstalking. One of the rehabilitation facilities Derek oversees fails inspection, while another needs new equipment for the returning troops staying at the home. But Derek isn’t about to let the constant flow of bad news interfere with protecting Bella. He decides to take matters into his own hands and lure her unwanted shadow out of hiding, so he can take care of it once and for all. 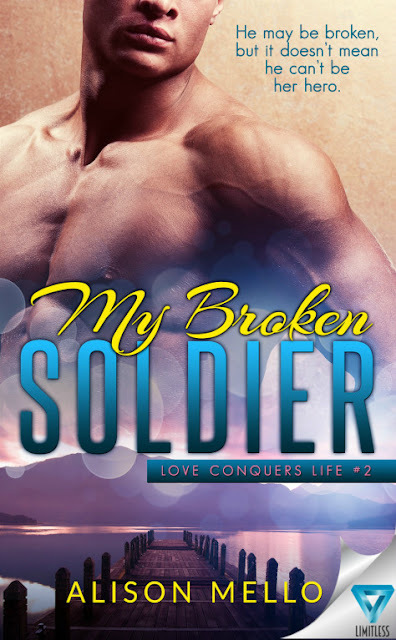 Derek knows Bella’s stalker believes he is simply a complication that can be removed with force, but this soldier is ready for a fight. Bella is everything Derek has ever wanted, and nothing, not even death threats, is going to keep them apart. Can Derek use his skills to put an end to Bella’s stalker? Or will this unknown villain finally succeed in capturing Bella for his own and take Derek out of the picture? She’s so glad she started this writing journey and hopes you will stay with her for the ride. 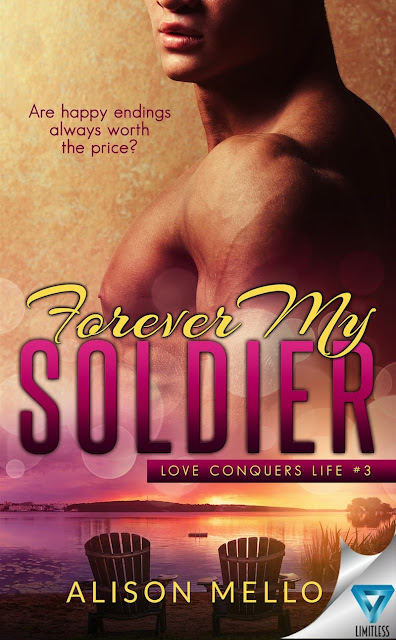 Sign up for her newsletter for exclusive sneak peeks and contests!